At 11:32 a.m. EST on Wednesday, the New York Stock Exchange temporarily suspended all trades, citing a technical glitch. Oddly, the error came hours after United Airlines was forced to temporarily ground all flights due to a technical issue, and around noon ET The Wall Street Journal website seemed temporarily down as well. 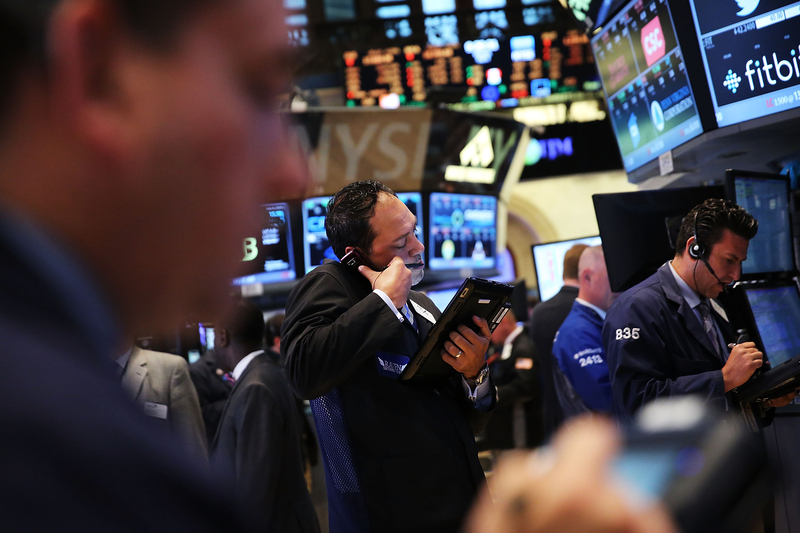 "We’re experiencing a technical issue that we’re working to resolve as quickly as possible," the NYSE tweeted. "We're doing our utmost to produce a swift resolution & will be providing further updates as soon as we can," it added. On the same day that the Chinese market opened with alarmingly low numbers, NYSE trading briefly went dark, suspending all trades, and canceling any open orders, according to the NYSE website. The NYSE listed this update as a "critical issue," and has since issued an update as of 12:01 p.m. EST stating that NYSE Amex/Arca and NYSE Arca trading options are not effected by this yet-to-be-specified problem. The New York Times reported that, while the NYSE has experienced technical difficulties in the past, a suspension like the one seen today "has little precedent." Apparently hoping to allay any fears from the public that the issue will compromise security and safety, NYSE tweeted at 12:28 p.m. that "The issue ... is an internal technical issue and is not the result of a cyber breach." They followed up by explaining that the decision to suspend trading was to "avoid problems arising from our technical issue." Apparently, "NYSE-listed securities continue to trade unaffected on other market centers." The nature of the problem is still yet to be revealed, and trading still remains suspended. So far there has not been any estimation given about when the NYSE is expecting to resume trading.